Two groups that aim to strengthen local communities in Michigan came together in Rochester Michigan. 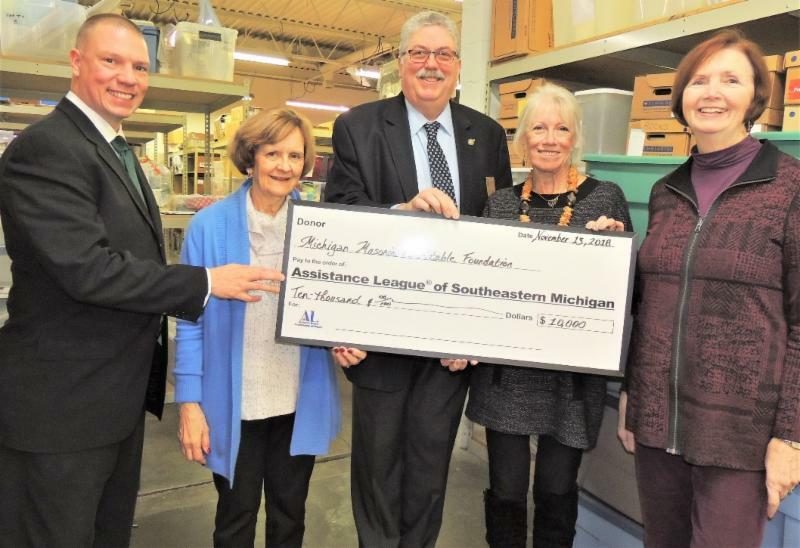 Assistance League of Southeastern Michigan welcomed representatives from the Michigan Masonic chapters to receive a $10,000 B.E.S.T (Build/Enrich/Strengthen/Transform) grant check to help finance the Assistance League’s signature philanthropic endeavor, Operation School Bell®. Each year, students in Wayne, Oakland, and Macomb area schools “shop” in their school gymnasiums for the following new items: a winter coat, hat and gloves, shirts, pants, underwear, socks, hygiene kit, a book, and a duffle bag to hold it all. During the 2018-19 school year, Assistance League serviced over 6,400 students with necessities that contribute to their success in the classroom and overall self-worth.